New this year was our Needlefelted dogs workshop, run by Janet Thompson. She had envisaged that everyone would make a little Jack Russell as a first piece, but participants had other ideas and whole array of little dogs trotted out at the end of the workshop! My favourite newcomer was 12 year-old Tatum who wanted to learn Indian Shisha mirror embroidery so that she could add a Bindi to the forehead of a beautiful portrait she is stitching for a competition. Sadly, I didn’t get a picture of the piece she is working on, but here are her mirrors at the first stage of stitching. She picked it up in no time and came back to show me the completed Bindi and learn some additional stitches. Great stuff. If you see this post Tatum, let me know when the whole embroidery is finished – I’d love to see it. 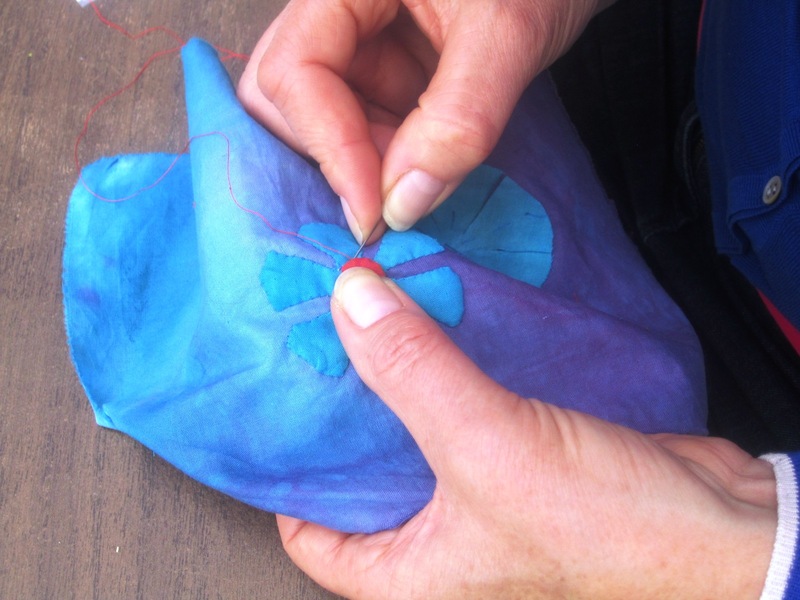 I had 6 round the table for an abstract feltmaking day – a bit of a squeeze at Sprout’s table, but some beautiful designs were created by beginners and some who’d been to previous workshops of mine. The next day we had Joan showing people her very popular figure weaving techniques – the colourful, happy figures make great tree decorations. No sooner had I finished at Sprout, than it was Crafty Pint Christmas workshop time, at The Railway pub! We had 40 keen crafters doing a mix of Felt Baubles, Willow Woven stars, wreaths & Christmas trees plus lino cutting and printing a set of cotton napkins. What a feast of activities to delve into. It was great fun – mulled wine a welcome addition thanks to The Railway. One more workshop to go before Christmas – Felt baubles, stars & hearts for the tree at Serendipity Tea Rooms on Monday night, 16th December – 6.15-9.00 pm £25.00 including tea and CAKE!! Do come and join in. Workshops dates for 2014 being added slowly but surely … see the sidebar to the right of the page. Hemmed applique is the simplest form of applique. 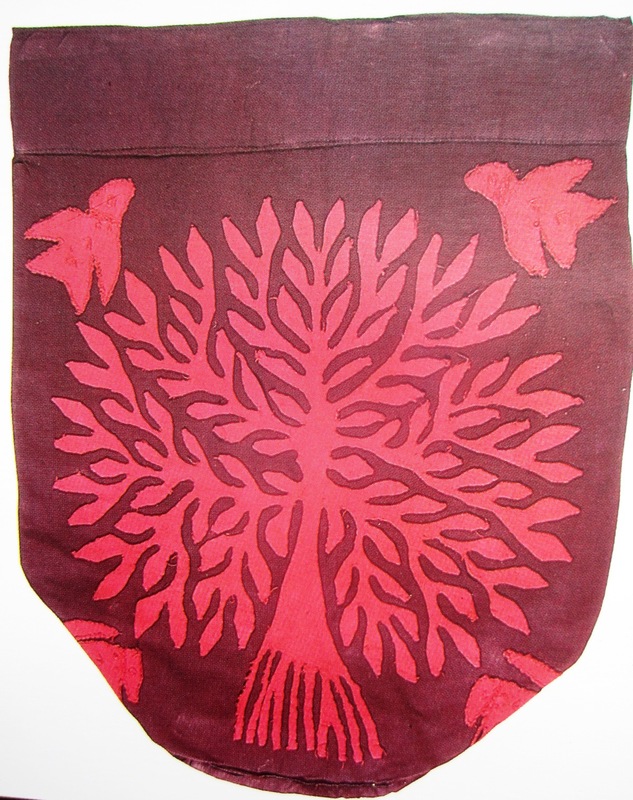 Motifs are simply cut out of fabric and tacked onto the background. Edges are then turned in and hemmed or slip-stitched, leaving the background fabric visible between the applied pieces. Simple it may be in theory, but in practise very fiddly! In Rajasthan & Gujarat, western India, appliqued cloths are used to decorate bridal carts pulled by oxon, creating tent-like structures to shield the bride from prying eyes. In Uttar Pradesh appliqued cloths, decorated with scenes from Indian mythology, are left as offerings at shrines on Krishna’s birthday in places of reverence for both Hindu and Muslim pilgrims. 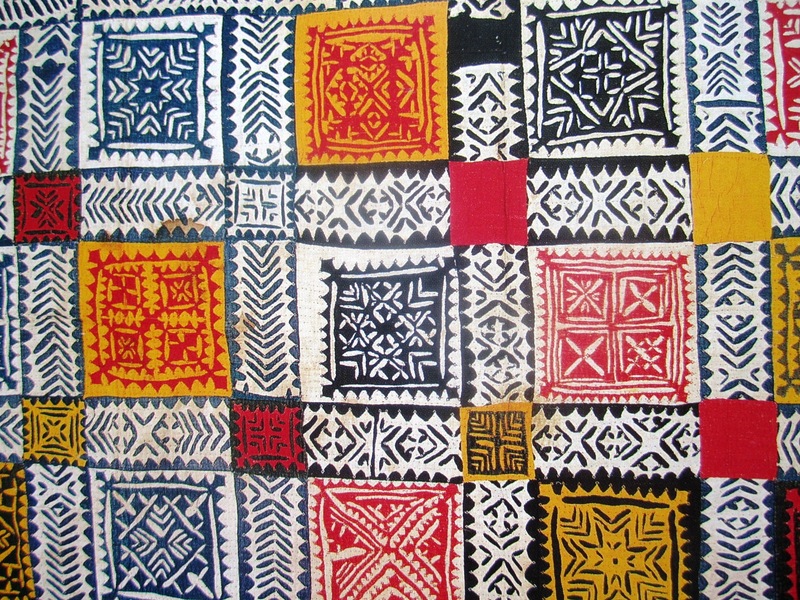 This form of applique also has a variation known as Reverse Applique. A layer of fabric is tacked onto a base layer of a contrasting colour. Cuts are then made into the top layer and the edges are turned back under and sewn down with small stitches. Thread that matches the colour of the top layer is used so that the stitches will be invisible (or nearly!). The main pattern is created by exposing the bottom layer. Subtle or bold effects can be achieved by varying the colour/design of the fabrics used. 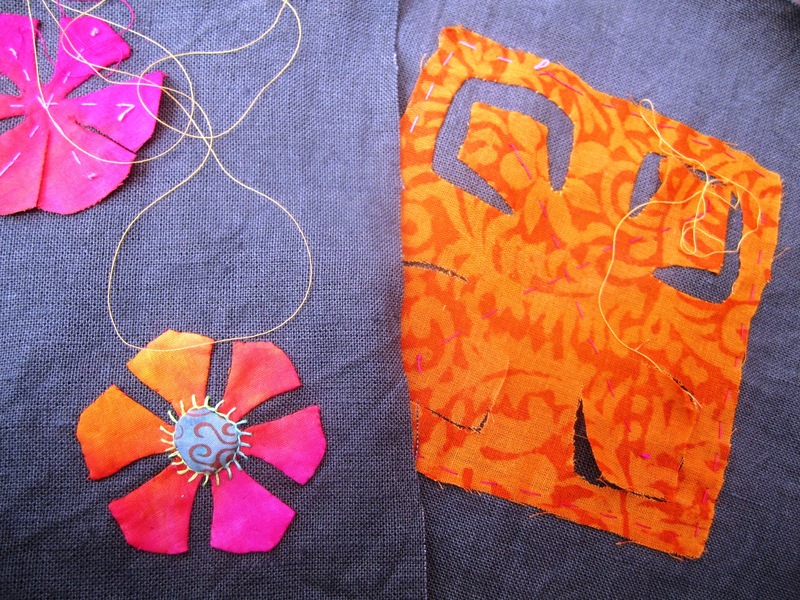 If you would like to have some fun learning this technique yourself, sign up for one of my Indian Applique workshops. New dates added regularly.